POLAND SAYS THAT it has arrested a Chinese telecoms executive suspected of spying for China, with local media identifying him as a Huawei director. The move is the latest setback for Huawei, which saw the arrest of the daughter of the firm’s founder in Canada and US efforts to blacklist the company internationally over security concerns. Huawei said in a terse statement that it was “aware of the situation” and “looking into it”. The Polish announcement comes weeks after Canada arrested Huawei vice president Meng Wanzhou, who is accused of violating Iran sanctions. 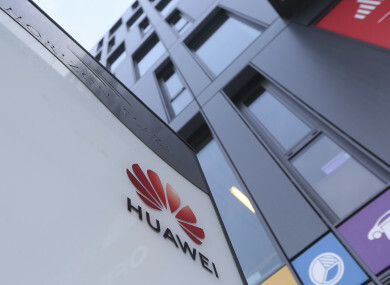 Huawei, which was founded by a former Chinese army engineer, is also facing increased scrutiny over its alleged links to Chinese intelligence services. Countries like the United States, Australia and Japan have blocked Huawei from building their next-generation, super-fast 5G internet networks. In December, a Czech cyber-security agency warned against using the software and hardware of Huawei and fellow Chinese company ZTE, saying they posed a threat to state security. A Polish man “known in the IT sector” was also arrested for alleged espionage along with the Chinese citizen “who is a businessman working for an important telecommunications firm”, said Maciej Wasik, deputy head of Poland’s special services, quoted by the PAP news agency. The investigation “had been going on for a while, and had been handled with great care”. EU spokeswoman Maja Kocijancic refused to “speculate” when asked Friday if there were any concerns about Chinese retaliation. “We are aware of the reports and we will be indeed in touch with the Polish authorities for further information,” she told reporters. The men were arrested on Tuesday and are suspected of having “worked for Chinese services and to the detriment of Poland,” said Polish special services spokesman Stanislaw Zaryn. According to local media, the Chinese businessman is believed to be a director of the Polish branch of Huawei. Zaryn identified him as Weijing W and the Polish suspect as Piotr D.
He said their apartments and workplaces were searched, adding that the Polish suspect had worked “for several state institutions”. Polish media identified Piotr D as a former agent for Poland’s ABW counter-intelligence service and current cyber-security consultant for the Polish branch of French mobile phone provider Orange. Email “Huawei employee arrested in Poland on suspicion of spying for China”. Feedback on “Huawei employee arrested in Poland on suspicion of spying for China”.